At Tropics Beach Volleyball we provide a fun atmosphere for Beach Volleyball Leagues. Theres skill levels for beginners all the way up to advanced. Adult Leagues happen Wednesday and Thursday nights. Juniors Leagues happen Friday nights. We encourage you to hone your skills and move up to the highest level of competition you can achieve. Players play a best 2 out of 3 match. The format is coed 4 on 4, and the first matches begin as early as 6:30pm. Become a member of Tropics Volleyball and join us for Coed Quads Leagues today! 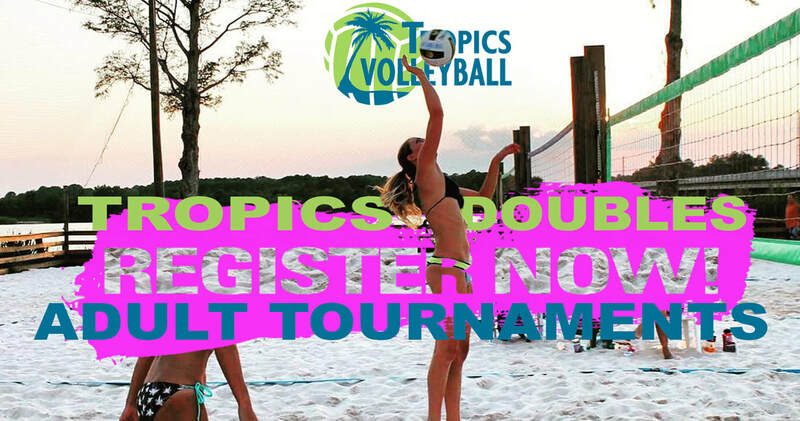 Tropics Volleyball offers a full schedule of competitive beach volleyball tournaments. Tournaments happen on either Saturdays or Sundays and are available to both Juniors and Adults. Tropics Volleyball offers full year beach volleyball training for Juniors ages 8 to 18. We have a group of highly qualified beach volleyball coaches and athletes committed to teaching the game. Tropics Volleyball both competes and hosts events in association with the AVP, NVL, USAV, AAU, BVCA, ROX and NBT. Register Online for our Coed Quads Leagues. Tropics host Spring, Summer, Fall and Winter Leagues throughout the year. 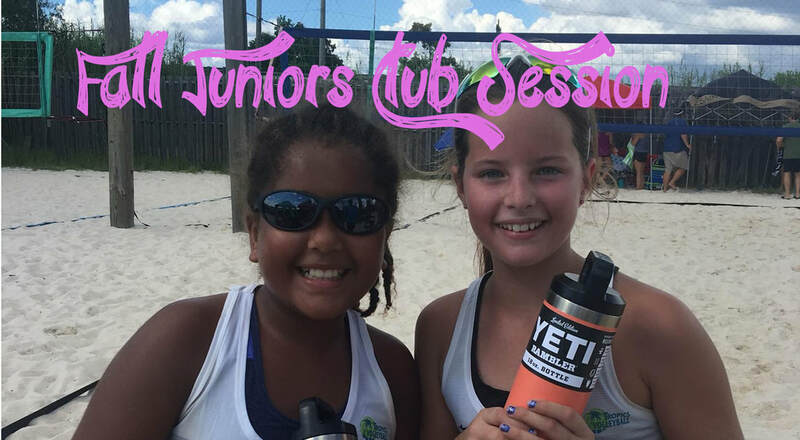 Register Online for our Juniors Club. Boys and girls ages 8 to 18 are welcome to join. Our club periods begin in April and November. Private instruction is available year round.